$2,000 to match the UNW emergency relief to the Bacalod Rotary Club. 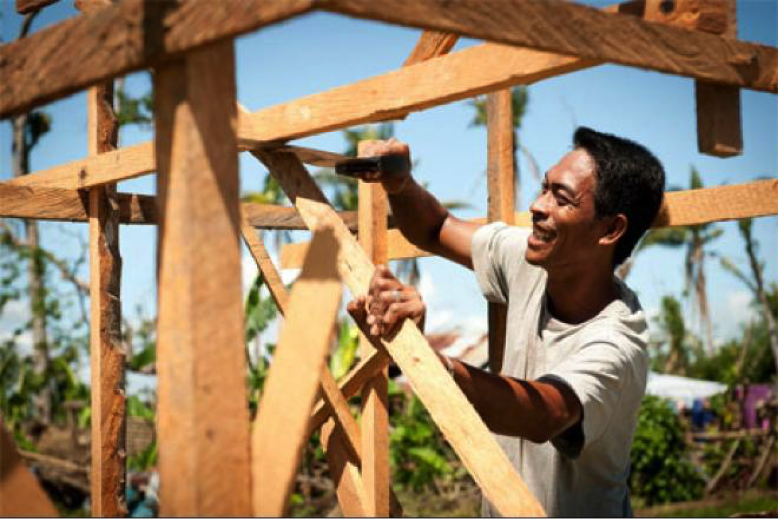 One PSAC member had the opportunity to personally witness the energy and resourcefulness of the Filippino people in rebuilding. Chris Potyok, RVP North Great Slave Region of the Union of Northern Workers (UNW) travelled to Bacolod, a badly damaged area. Prior to going, Chris raised $2000 from the UNW, which was matched by the SJF. In December 2013, my wife, Star and I traveled to the Philippines. 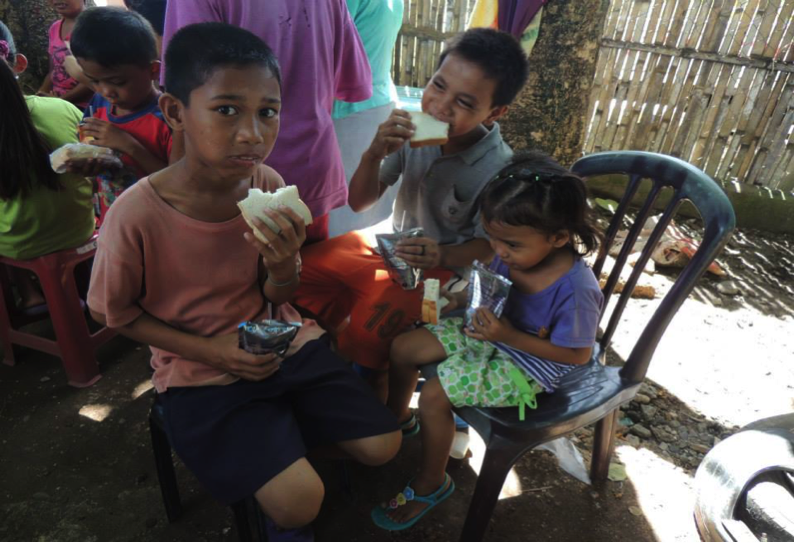 We had been planning this vacation for about 8 months but when Typhoon Haiyan hit just north of the region that we were going to visit, we thought we would try and do something for those that were so profoundly affected by this storm. I approached the UNW Executive who generously donated $2000 towards the typhoon relief efforts, and the PSAC Social Justice Fund matched that donation. We had some concerns regarding giving the donations to a large organization of government agency so we looked at other alternatives. A solution was reached when my wife contacted a close friend of hers in the Philippines. Her husband was a member of the local Rotary Club, and they were spearheading the relief efforts in their region. The UNW has a close working relationship with the Rotary Club here and we thought that would be an excellent way to ensure that the donations get to the people that need it the most. 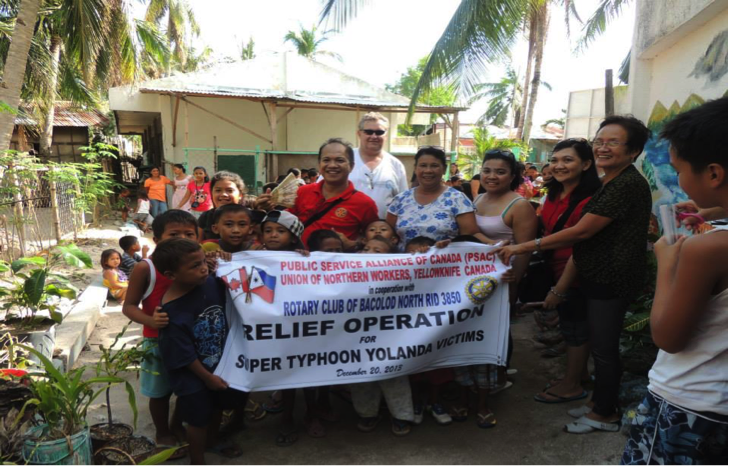 The Rotary Club of Bacolod North was the organization that the donations were funneled through. I arrived in the Philippines on Dec 12 and on Dec 13 we were invited to the Rotary Clubs annual Christmas party. It was an amazing welcome, as we were treated to a wonderful dinner, and were presented with plaques expressing their gratitude for the Union donation. On Dec 20 we were taken on a site visit to Old Sagay City on the north shore of Negros. This is where the relief work was being carried out by the Rotary Club, about a 2 hour drive from where my wife and I were staying. Most of the clean up had been completed at this point, but there were still large trees uprooted and some smaller homes were nothing more than a pile of debris. We were brought to the local school where a reception had been organized for us. Over 100 school children and teachers were there to sing us songs of thanks. WE learned that the donations from the union had gone to repair 49 homes that had been damaged by the storm, as well as towards the purchase of solar powered lights. 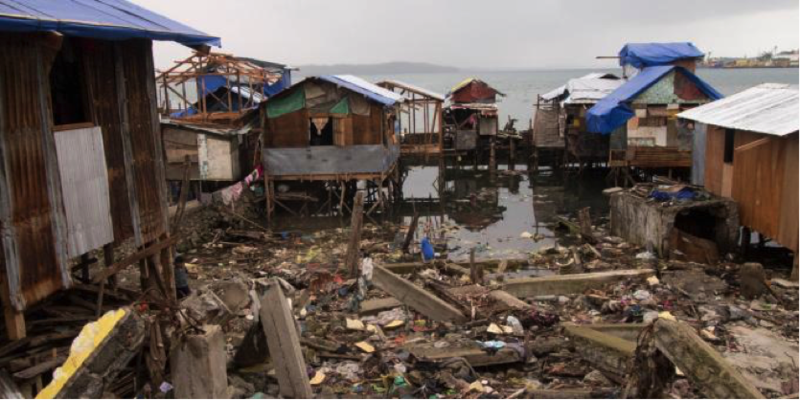 Later on that day we went on a short boat ride to Suyak Island where there was more devastation from the typhoon. Once again, most of the clean up had been complete and home repairs were well underway. We met with village officials who reiterated their gratitude for our contributions and feted us with more songs and celebrations. All in all, I believe that the image of the UNW and of unions in general was greatly enhanced by the donations and our visit, and I hope that it opens the doors for future opportunities to further union activism in the region.